Garter stitch is the easiest to knit but the hardest to repair...until now! This fantastic tool allows you to make both knit and purl corrections from the front side of the fabric...with just one single tool! 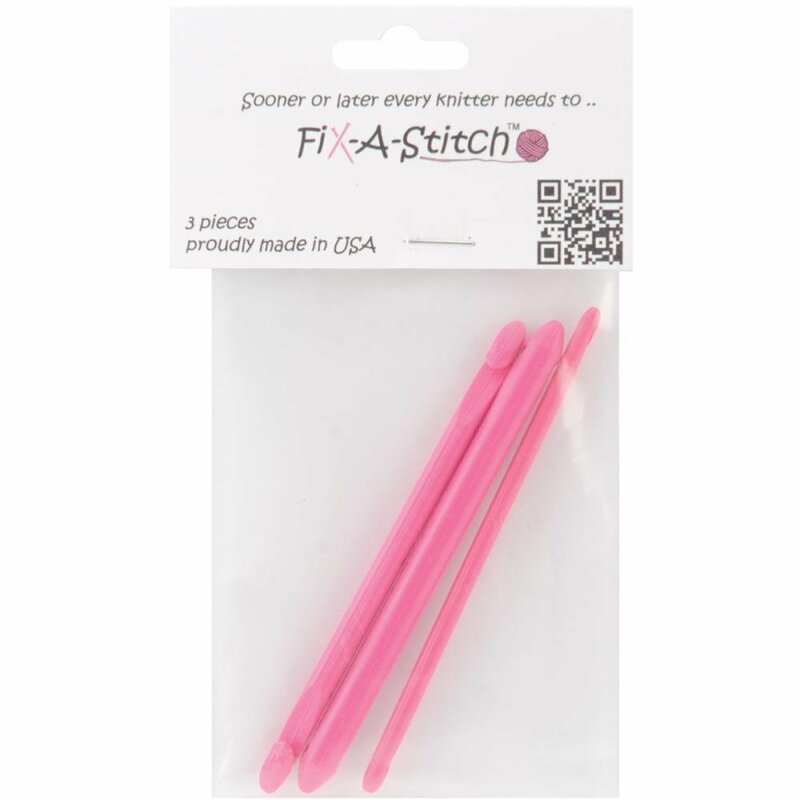 Included in each package are three Fix-A-Stitch tools in varying diameters so you can fix mistakes on any project no matter what size yarn you are using. Each tool is 4 inches long. Includes 3 Fix-A-Stitch Tools in sizes 4/3.5mm, 8/5mm and 10.75/7mm so you can fix mistakes on any project no matter what size yarn you are using.